Massimo Alioto is an Associate Professor at the Department of Electrical and Computer Engineering, National University of Singapore where he leads the Green IC group and is the Director of the Integrated Circuits and Embedded Systems area. Previously, he was Associate Professor at the Department of Information Engineering of the University of Siena. In 2013 he was also Visiting Scientist at Intel Labs – CRL (Oregon) to work on ultra-scalable microarchitectures. In 2011-2012, he was Visiting Professor at University of Michigan, Ann Arbor, investigating on active techniques for resiliency in near-threshold processors, error-aware VLSI design for wide energy scalability, self-powered circuits. In 2009-2011, he was Visiting Professor at BWRC – University of California, Berkeley, investigating on next-generation ultra-low power circuits and wireless nodes. In the summer of 2007, he was a Visiting Professor at EPFL – Lausanne (Switzerland). A/Prof Alioto received the Laurea (MSc) degree in Electronics Engineering and the Ph.D. degree in Electrical Engineering from the University of Catania (Italy) in 1997 and 2001, respectively. He has authored or co-authored more than 230 publications on journals (80, mostly IEEE Transactions) and conference proceedings. One of them is the second most downloaded TCAS-I paper in 2013. He is co-author of three books, Enabling the Internet of Things – from Circuits to Networks (Springer, 2017), Flip-Flop Design in Nanometer CMOS – from High Speed to Low Energy (Springer, 2015) and Model and Design of Bipolar and MOS Current-Mode Logic: CML, ECL and SCL Digital Circuits (Springer, 2005). His primary research interests include ultra-low power VLSI circuits, self-powered and wireless nodes, near-threshold circuits for green computing, error-aware and widely energy-scalable VLSI circuits, circuit techniques for emerging technologies. A/Prof Alioto currently serves as Associate Editor in Chief of the IEEE Transactions on VLSI Systems, and served as Guest Editor of various journal special issues (including the issue on “Ultra-Low Voltage Circuits and Systems for Green Computing” published on Dec. 2012 on IEEE Transactions on Circuits and Systems – part II). He also serves or has served as Associate Editor of a number of journals (IEEE Transactions on VLSI Systems, ACM Transactions on Design Automation of Electronic Systems, IEEE Transactions on CAS – part I, Microelectronics Journal, Integration – The VLSI journal, Journal of Circuits, Systems, and Computers, Journal of Low Power Electronics, Journal of Low Power Electronics and Applications). He serves or has served as panelist for several funding agencies and research programs in the US (NSF) and Europe (FP7, Swiss SNF). He was Technical Program Chair (ICECS, VARI, NEWCAS, ICM, SOCC) and Track Chair in a number of conferences (ICCD, ISCAS, ICECS, VLSI-SoC, APCCAS, ICM). Prof. Alioto is an IEEE Fellow. 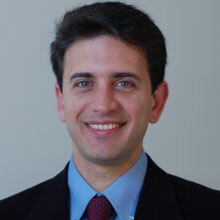 A/Prof Alioto was a member of the HiPEAC Network of Excellence (EU) and the MuSyC FCRP Center (US). In 2010-2012 he was the Chair of the “VLSI Systems and Applications” Technical Committee of the IEEE Circuits and Systems Society, for which he was also Distinguished Lecturer in 2009-2010 and member of the DLP Coordinating Committee in 2011-2012. He is also member of the Board of Governors of the IEEE Circuits and Systems Society (2015-2016). In the last five years, he has given 50+ invited talks in top universities and leading semiconductor companies.